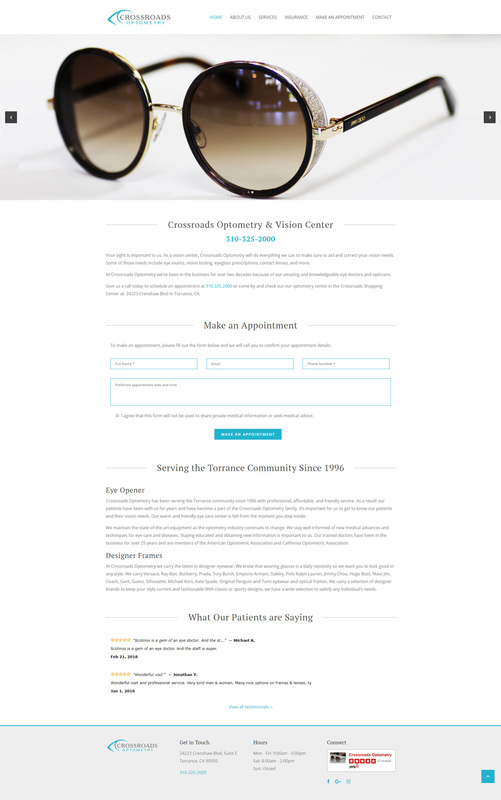 Located in Torrance, Crossroads Optometry provides eye exam services for those with vision health issues. They also have a store filled with all of the latest designer brand eyewear so that their patients can walk away in style. 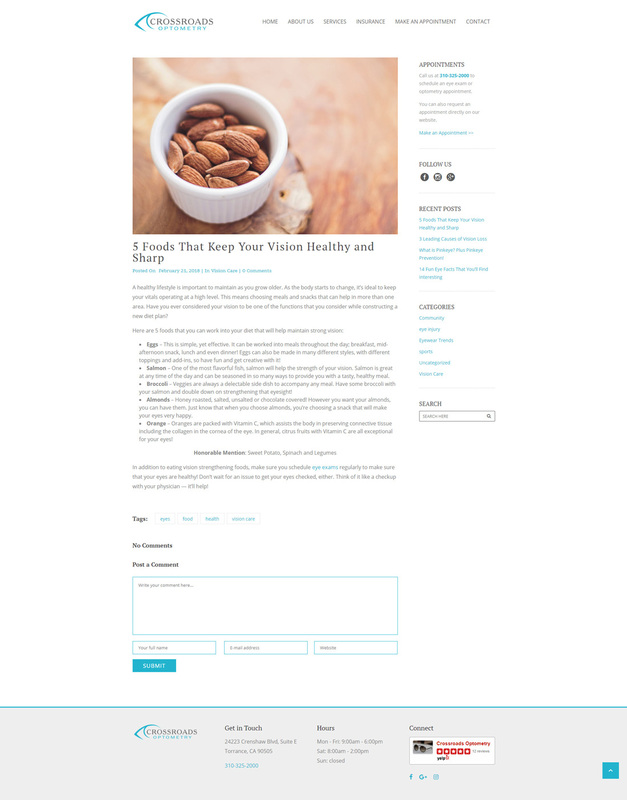 We developed their website and implemented a blog so that they can share information about eye health with their visitors. 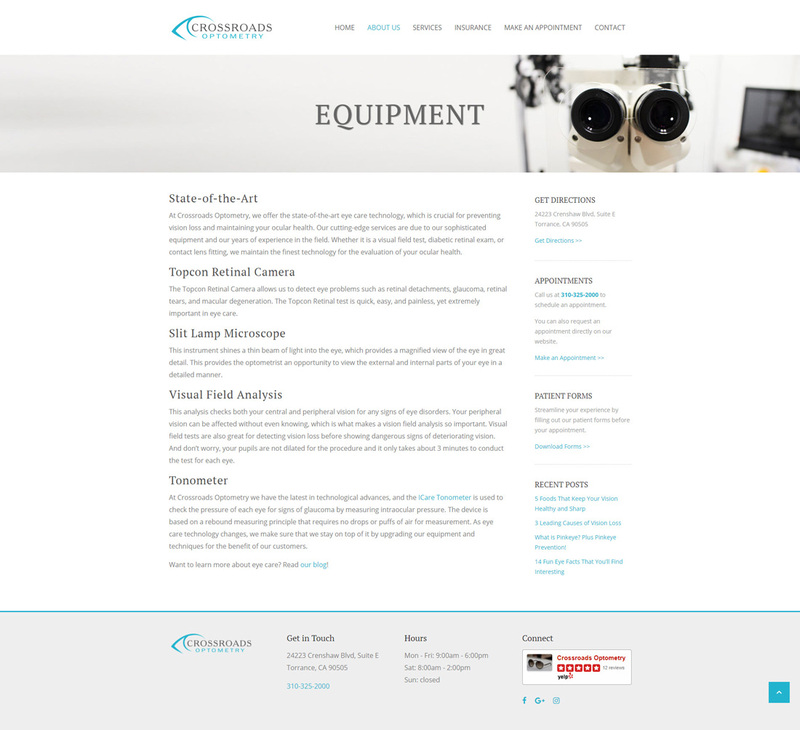 Using Facebook and Instagram helps further extend the voice and visual appeal of Crossroads Optometry.